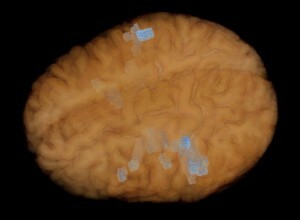 MSI (Magnetic Source Imaging) is a non-invasive technique used to map brain function by measuring magnetic signals that are given off by neuronal firing. This relatively new medical imaging breakthrough is designed to pinpoint specific areas within the brain responsible for function. When the brain is working on a specific task, like talking, moving, listening, or processing visual information, neurons in a specific location work together. When groups of neurons in the brain fire in relation to a specific task, the neuronal current can be pinpointed by the magnetic signals. It is difficult to get an accurate measurement of location by measuring these electric signals alone from the scalp because electrical signals travel away from the center of activity. Fortunately, there is a much more accurate, non-invasive way to locate these areas of processing. Measuring the magnetic fields associated with brain activity provides a very accurate spatial measurement at a very precise moment in time. Magnetic Source Imaging is two different measurements put together, one structural image and one localization image. The structural image is obtained using MRI, or Magnetic Resonance Imaging, which creates a very detailed picture of the brain. 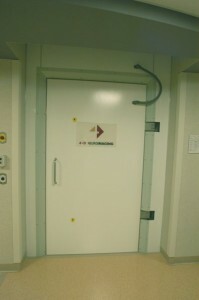 The functional part is measured by Magnetoencephalography and is often times abbreviated as MEG. 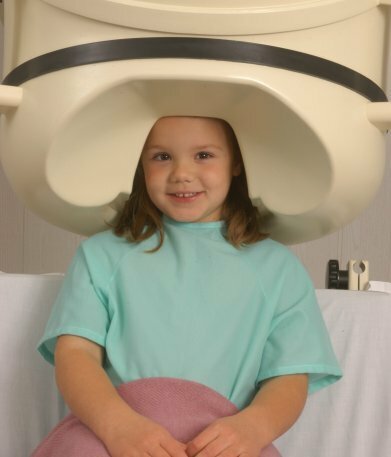 Magnetoencephalography sensors (known as magnetometers) are arranged in a helmet-like recording device designed to surround a patient’s head. That way when a group of neurons fire, the sensors can be used together to locate the source of activation. MSI recordings are done in a Magnetically Shielded Room (MSR). The magnetic fields produced by the brain are less than one-billionth the size of the Earth’s own magnetic field. When inside the room, much of the ambient magnetic fields are blocked allowing us to see only the magnetic fields associated with a working brain. To minimize artifacts, pneumatic air-based instruments are used in place of electronic devices, where applicable. What will I need to do before I come in for my MSI exam? There are a few important things to remember before coming in for your MSI exam. The first thing is to remove any unnecessary metal, piercing, make-up, eyeliner, and dental work, as they create artifacts that make it difficult to create an accurate localization. Other devices such as pace makers, Vagal Nerve Stimulator (VNS) implants, and hearing aids will also create a great deal of magnetic and electrical noise which may make it difficult to run the exam. In some cases, your doctor may decide to temporarily turn off your VNS for the MSI exam. Your doctor may also chose to have you temporarily stop certain medications, and they will let you know this before the MSI exam. When coming in for an MSI exam, it is important to dress in warm clothes. Clothes made from cotton and wool are generally appropriate. Be sure to avoid any metal fasteners like belt buckles, metal zippers, and buttons. Sweatshirts and sweatpants are ideal. Avoid using hair products such as gel, hairspray, or sculpting creams. After showering and combing, leave your hair without any additional products. Who can benefit from an MSI exam? MSI can help define the epileptogenic zone(s) and map eloquent portions of cortex responsible for function. This can assist neurosurgeons during the removal of lesions without causing neurological deficit. Canidates for MSI tests include epilepsy patients with medically intractable epilepsy, epilepsy patients who are undergoing presurgical evaluation and tumor patients with tumors located close to functional cortex. Primary uses for MSI include optimization for EEG grid placement and function localization for pre-surgical evaluation. These maps aid neurosurgeons, epileptologists and neuropsychologists in preparing courses of action that allow minimal functional deficit and maximal benefit to the patient. For those patients who are going into surgery, MSI studies can be loaded into intraoperative navigational software to provide neurosurgeons real-time functional maps during the surgery. What kinds of things can MSI measure? MSI has been used to measure many types of functionality, including language lateralization and localization, motor function localization, somatosensory localization, epilepsy onset localization, and visual field processing localization. How long does it take to record an MSI exam? The length of time required for recording an MSI exam varies depending upon the types of function mapped, the cooperativeness of the patient, the cleanliness of the signal recorded, and in some cases, the frequency of epilepsy related brain activity. The average time to record the full battery of epilepsy, motor, somatosensory and receptive language is about four hours. When are the exams finished? Finished reports can be created once the MSI tasks have been recorded and the MR images have been received. Reports are generally finished in under a week. Are there any risks associated with doing an MSI? There are no risks associated with MSI recordings, as it is a completely noninvasive procedure. Will my insurance cover an MSI exam? Yes, MSI is covered by Medicare and Medicaid. Other private insurance companies require pre-approval. Our experienced personnel will help you with this. 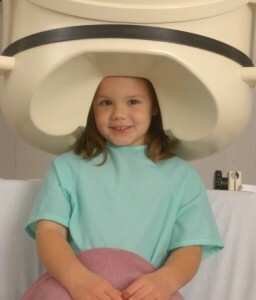 I remember my last MRI and it was loud. Is MSI anything like that? There are some similarities and some differences between MSI and MRI recording. Like MRI, it is important to remain very still during the recording. On the other hand, magnetoencephalography doesn’t create loud distracting noises. My child needs an MSI exam but will be unable to remain still. Is sedation an option? Yes, MSI exams can be performed on patients who are under sedation, but due to the nature of the testing procedure, tasks involving patient cooperation will not be able to be recorded.